jamieshopper Great buyer to deal with! Prompt reply and payment! Hassle free and straight to the point. Thank you! 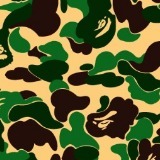 streetwear_ Great seller to deal with! Pleasant transaction! Thank you! 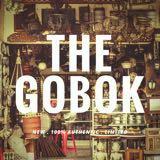 the.gobok Great seller to deal with! The Item is in really superb condition ! Recommended!! @bmustaine is on Carousell - Follow to stay updated! [Pre-owned] NMD City Socks [Primeknit] [S79152] Size: US 8.5 , UK 8 Condition: 9/10 Selling price: RM700. 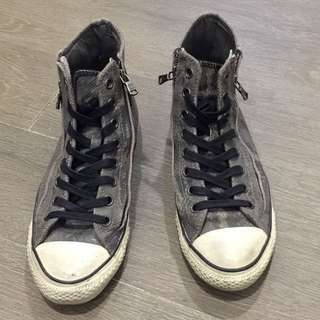 Nego for serious buyer Dealing method: COD@ Sri Hartamas/ Mid Valley area Prefer Whatsapp: O-1-7-8-7-3-5-7-5-2 ** Please whatsapp me for more details photos. [Pre-owned] Adidas NMD R1 BRED [Black / Red / White] [BB1969] Size: US 8.5 , UK 8 Condition: 9/10 Selling price: RM550. Nego for serious buyer Dealing method: COD: Sri Hartamas/ Mid Valley area Prefer Whatsapp: O-1-7-8-7-3-5-7-5-2 ** Please whatsapp me for more details photos. 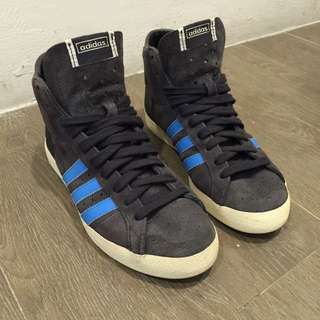 [Pre-owned] Adidas Original X Maharishi X Undefeated Size: US 8 , UK 7.5 Condition: 8/10 Selling price: RM300. Nego for serious buyer Dealing method: COD: Sri Hartamas/ Mid Valley area Prefer Whatsapp: O-1-7-8-7-3-5-7-5-2 ** Please whatsapp me for more details photos. 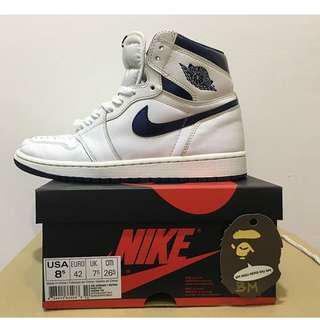 [Pre-owned] Nike Air Jordan 1 Retro High OG Metallic Navy Size: US 8.5 , UK 7.5 Condition: 9/10 Selling price: RM399. 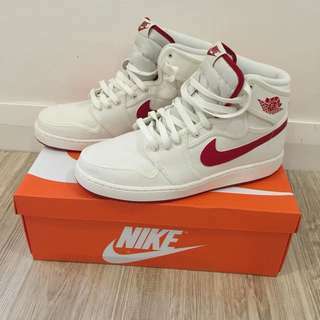 Nego for serious buyer Dealing method: COD: Sri Hartamas/ Mid Valley area Prefer Whatsapp: O-1-7-8-7-3-5-7-5-2 ** Please whatsapp me for more details photos. [Pre-owned] Red Wing Moc-Toe 875 Size: US 8 , UK 7 Condition: 7/10 Selling price: RM450. Nego for serious buyer Dealing method: COD: Sri Hartamas/ Mid Valley area Prefer Whatsapp: O-1-7-8-7-3-5-7-5-2 ** Please whatsapp me for more details photos. [Pre-owned] Adidas NMD R1 [WOMENS] Salmon [S76006] Size: US 7.5 , UK 6 Condition: 9/10 Selling price: RM450. Nego for serious buyer Dealing method: COD: Sri Hartamas/ Mid Valley area Prefer Whatsapp: O-1-7-8-7-3-5-7-5-2 ** Please whatsapp me for more details photos. [Pre-owned] Adidas NMD R1 Monochrome Pack [Tripple White] [S31506] Size: US 8.5 , UK 8 Condition: 9/10 Selling price: RM450. Nego for serious buyer Dealing method: COD: Sri Hartamas/ Mid Valley area Prefer Whatsapp: O-1-7-8-7-3-5-7-5-2 ** Please whatsapp me for more details photos. [Pre-owned] Adidas NMD R1 [Black / Grey / White] [S31504] Size: US 8.5 , UK 8 Condition: 8/10 Selling price: RM499. Nego for serious buyer Dealing method: COD: Sri Hartamas/ Mid Valley area Prefer Whatsapp: O-1-7-8-7-3-5-7-5-2 ** Please whatsapp me for more details photos. [Pre-owned] Adidas Ultraboost 2.0 [BB3909] Size: US 8.5 , UK 8 Condition: 9/10 Selling price: RM550. 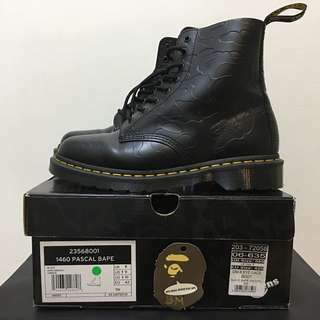 Nego for serious buyer Dealing method: COD: Sri Hartamas/ Mid Valley area Prefer Whatsapp: O-1-7-8-7-3-5-7-5-2 ** Please whatsapp me for more details photos.